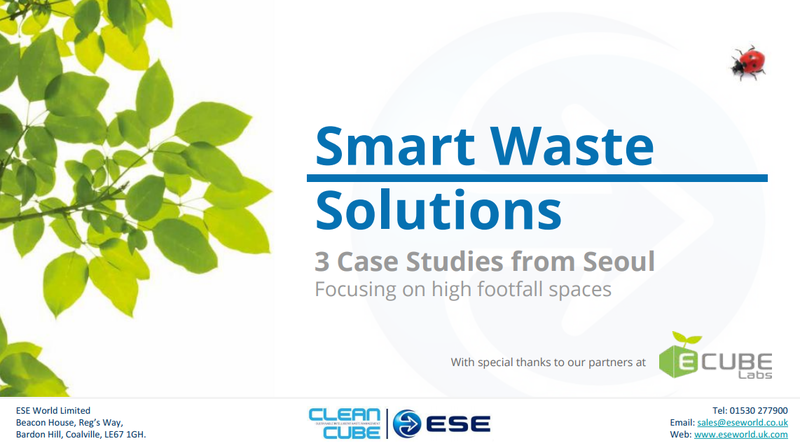 In our last post, we gave details of where you can find us next week at #RWM16 from 13th-15th September (Hall/Stand: 4K49), and confirmed that Clean Cube, our solar-powered, smart waste solution will be the star of our show. 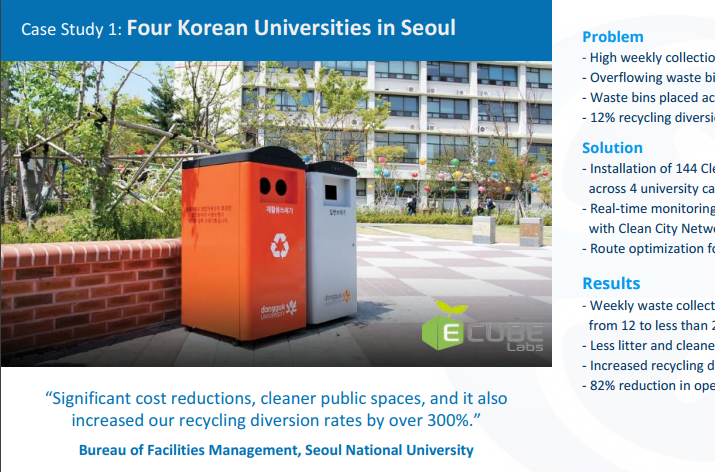 Because the Clean Cube compacting bin is so well suited to high foot traffic areas (where overflowing bins, irregular fill patterns and disruptive waste collection can be especially problematic), we are particularly looking forward to demonstrating its many features and benefits to those responsible for waste management at shopping centres/retail parks, leisure and transport hubs and university/college campuses. Ahead of those conversations, we’ve prepared a ‘case studies’ document outlining 3 resounding success stories from those sectors which we invite you to download and digest. Do come and see us at Hall/Stand 4K49. You’ll be able to see the Clean Cube ‘in the flesh’ and our team will be on hand to answer any queries. If you can’t make it to RWM16, as always, you can call us on +44(0)1530 277 900, or email sales@eseworld.co.uk. 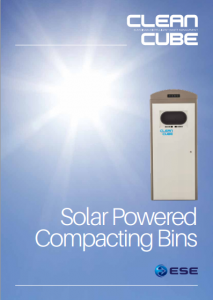 Grab a digital brochure for Clean Cube, our solar-powered, compacting bin by clicking on the image.